Aquamarine is a blue beryl. It occurs at most localities which yield ordinary beryl.The mines of Colombia, Zambia, Madagascar, Malawi,Tanzania, and Kenya produce aquamarine. 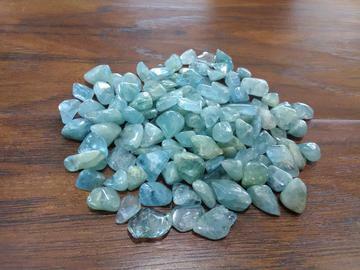 The name “aquamarine” is derived from the Latin word for seawate. This is a stone of the sea and a stone of the mystic. It has psychic abilities, peace, courage, communication and purification.